The IPhone speakerphone standard phone callbut many phone users are already accustomed to put the call smartphone your favorite tune, what to do in a tablet from Apple is not so simple. Download from the Internet any song you'd like to put the phone. IPhone connect via cable to the computer and open the application iTunes. Click on "add file to library..." in iTunes and then select the desired song. To open this window, you can also use Ctrl + O. Check the sound file, whether it is loud, it is very important to hear when you call. Select the segment in the song length of about 25 seconds, but not more than 30, otherwise, the ringtone will not work. Start creating your ringtone: right click on the selected song, select the menu item "information", and in the appeared window the "settings" tab. In this tab, you will see lines with the names "start" and "stop time". In the first line, specify the first second the period that you have chosen, and the second - the last second. Click "OK", the dialog window closes. Again just right click the song, and hit "Create a version in AAC format". Below the song you should see a duplicate song with the same name but with a length of about 30 seconds. 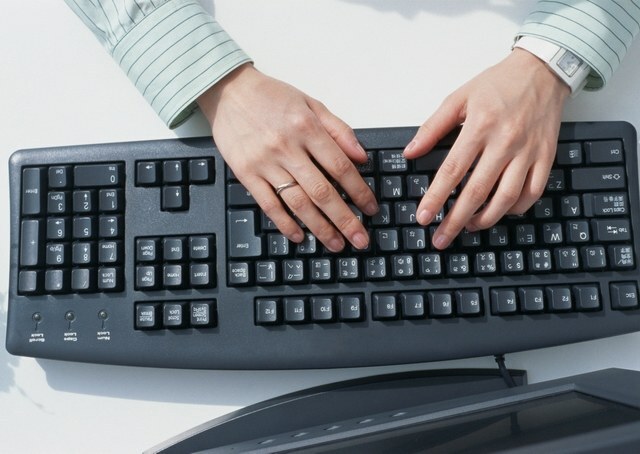 The song grab the mouse by clicking on it with the left button and, without releasing, pull on your desktop computer. In the program the duplicate songs, you can already remove. On the desktop appeared your ringtone, but not in the same format. Now it is .m4a, a you need .m4r. For this you just need to remove one letter in the extension and write another one. If you do not see the file extension, to change do the following. Go to "control Panel" which is located right in the panel "start", open the folder "folder Options", select the second tab "View", and in it in the advanced settings uncheck "Hide permissions for known file types". Now you can change extension of any file. Double-click the left mouse button on the ringtone and it will open in iTunes in the ringtones folder. Now click on "Synchronize selected sounds" tick box next to the new ringtone. After synchronization, the call will appear on the phone. Disconnect the phone from the computer and go to the menu item "settings", then select "sounds" then "ringtone". First in the list should appear your new ringtone - click on it. Look, good sounds, and now you can exit the menu. Calling will play a predefined tune. After this work it is desirable to remove songs from the playlist options, otherwise the melody on your phone and the player will play only 30 seconds. You can just uncheck the items "start" and "time" stops and the song will play fully. 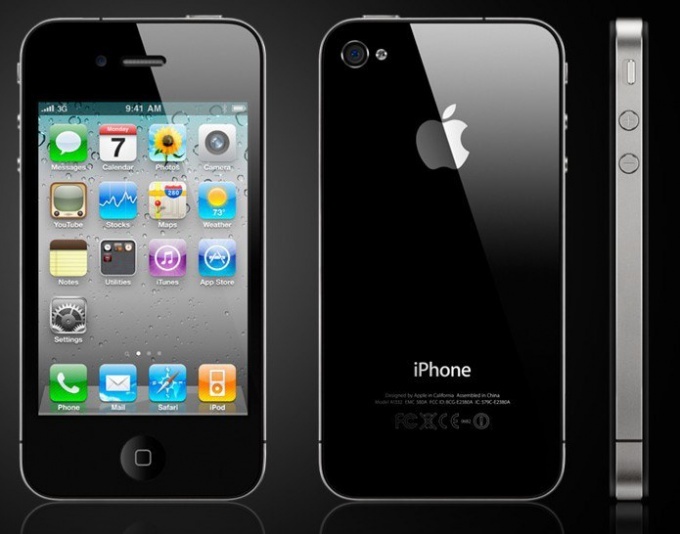 For many after buying iPhone is becoming a revelation that to use as a ringtone ordinary song in mp3 format impossible. The melody for the call should be recorded in the m4r format and be no longer than 40 seconds. If you do not have iTunes, download it on the official website of Apple and install it on your computer – without it, to upload to iPhone music will be problematic. After you install iTunes, run the program. In the left menu, select "Music" and drag your music. Select the desired song and click the right mouse button. In the context menu, select "Information". Go to the Settings tab and check the boxes "Start" and "Stop". In the "Start" enter the start time of the ringtone and the "Stop" time of the end. Remember that the length of a melody should not exceed 40 seconds. Click "OK" and then click again on the songs, right click and select "Create AAC version". Wait a few seconds, until there appears that you created the ringtone with the same name. Drag and drop it to your desktop and change the file extension from m4a to m4r. Now drag the file to the "Ringtones" menu in iTunes and connect your iPhone to your computer. Once your iPhone will be determined and added as a new device menu in iTunes, drag your created ringtone from a familiar folder "Ringtones" in the same folder on the iPhone. iTunes will notify you of synchronization devices, and the ringtone will appear in your iPhone. Open it and select menu "Settings" - "Sounds" - "Ringtone". Find your ringtone and click its check box. Now your tune will be used as a ringtone. As you know, iPhone of any generation can not be put on calls music from audio collection. A standard set of calls consisting't even music and sounds very quickly bored. Official firmware does not allow to upload free ringtones to the iPhone. Program iRinger and iTunes and a music file format *.mp3. Let's start with the fact that all of the system or the standard iPhone ringtones have a specific format *.m4r and last no more than 30 seconds. All we need is optimized for this format, which cuts off *.mp3 for iPhone is a free software iRinger that works under Windows. To find and download programs on the Internet absolutely free. After you have downloaded and installed the program iRinger to your computer, start it. Click the blue button “IMPORT”, which is marked with a lightning bolt, and through the opened Explorer, select the music file you want to put on a call. When a file is selected, click "Open". A few seconds the program will convert the music file format *.m4r. Click “PREVIEW” to configure the text that will sound on calls iPhone. After that, click "EXPORT" and click "Go!" in the window that appears. Here you can specify the path where will be saved the ringtone and the name to display in the phone. iRinger for a few seconds to create your ringtone iPhone ring tone. Then on the screen appears the notification “Success..” – this means that a file with the ringtone has been successfully created. Now download Apple iTunes and in the left menu, click "Ringtones" connect your iPhone to the computer. In the "File" menu, select "Add file to library" or "Add folder to library" and specify the path to the file or ringtone folder, respectively, where the ringtone is stored. After the file appeared in the ringtone list of iTunes under "Devices" sync ringtones "ringtones", and as usual, you can synchronize your phone by pressing "Synchronize". 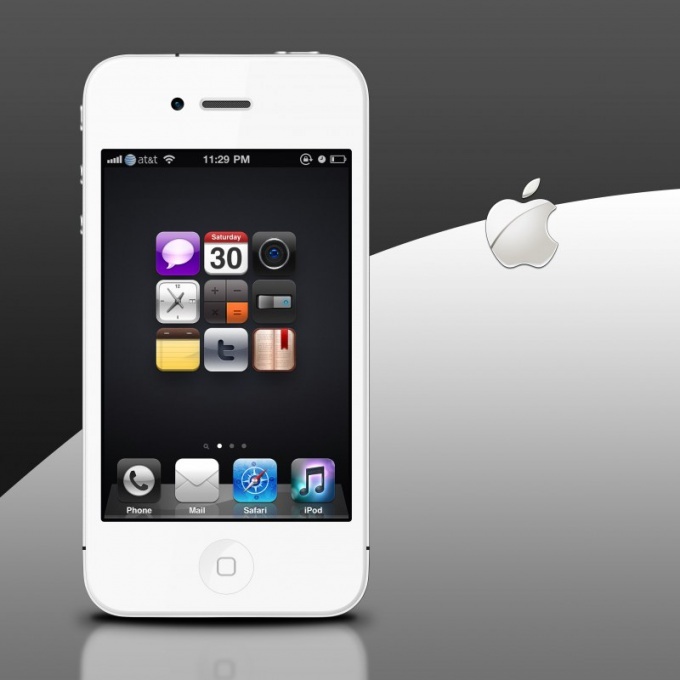 In this simple way you "filled" custom ringtone in iPhone. It is the sound settings and installed as well as any standard melody – a single click on the track name. Comfortable from the first notes of the melody immediately identify who is calling to the iPhone, but even better when it sounds familiar and favorite song, and not the standard boring ringtone, which quickly becomes boring and starts to annoy with their sounds. To constantly indulge oneself in listening to new melodies, you need to learn how to set up a call on your iPhone or from your collection of mp3 files or ringtones, downloaded from Internet. 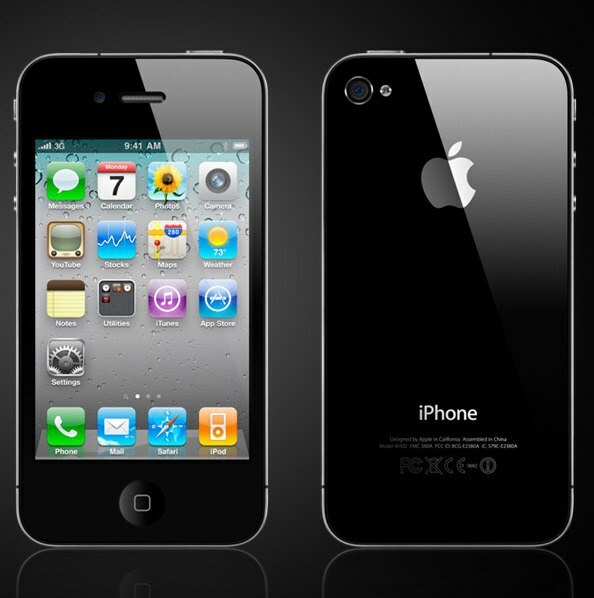 The restrictions imposed by Apple, are the cause of irritation for many iPhone users. This, in all respects a remarkable device, is tied to the App Store. That is why the first precondition for any changes is conduct a jailbreak. And then it becomes almost all.For example, there was a desire to change the sound of incoming sms messages. iTunes of any version of an iPhone made it jailbrek, Open SSH, ringtone format compatible with iTunes any file Manager. Select the desired ringtone for sms messages. It should be remembered that sms alerts are best suited the musical pieces are short duration and small size. Open iTunes on your computer and drag-and-drop the selected music file to the player program. Go to Prefererences tab and click the Import Settings in the General tab. Select Import using: AIFF Encoder. It is necessary to convert the selected music file in a format *.caf used iPhone for alerts. In fact, what is hidden under the CAF extension, is a file format AIFF. Make sure that you remember the save location of the selected musical passage. Go back to the music list and select the desired file. Call service settings menu by right clicking the mouse on the selected music file. Enter the command Create AIFF Version to convert the desired file to a compatible format. Open the folder containing the saved file converted to AIFF format, using the file Manager. Locate the selected file and rename it to sms-received.caf. The system provides for a iPhone 6 files with the same name, stored in /System/Library/Audio/UISounds and differing serial numbers. Copy the generated alert file in the above folder. Confirm your intention to overwrite the existing file with the same name in the dialog box. Open Settings on the iPhone and consistently go to Sounds and New Text Message. Select the first sound of the alert. It will become your new ringtone sms. Use this algorithm to replace all sounds, sms alerts, varying numbers of newly created files from 1 to 5 (sms-received1.caf, sms-received2.caf, etc.). The duration of a music file, use as sms alert, it is desirable to limit of 40 seconds. As a file Manager may use software DiskAid or iFile, available in Cydia. Good music can certainly lift your mood. Beloved melodies set to the signal "Call" or sms your iPhonewill be particularly enjoyable if you calling close to and dear people. Algorithm install ringtones on most Chinese smartphones the same. If your phone already has a large database of tunes, we can only choose and install one of them. Go to main menu IPhone and open the "Contacts" section. In the window that appears go to the option "Melody call for a subscriber". If your smartphone is missing the desired ringtone, you will first need to go online and download iTunes from official Apple website. After successful installation run the program. In the menu located in the left part of the window that opens, select the "Music"section. Click the File tab. In the drop-down menu, select the option "Add file to library" then specify your favorite tune. This composition will appear in the main window of the program. Click on it, clicking with the left mouse button, and then open the context menu by pressing the right mouse button, and select "Information". In the opened window go to the tab "Options". Tick the box next to the words "Start" and "stop Time", then in the corresponding fields specify the start and end time of ringtone (it is not necessary to specify the duration of the melodies more than 40 seconds). Now press the button "OK". In the main window of the program there will be a stripped down version of your tune. Click the right mouse button and select the context menu option "Create AAC version". After a few seconds the main window will appear on your ringtone format *.м4а. Now you can drag the ringtone to your desktop or another convenient folder. After the operations connect your iPhone to the computer and import via iTunes selected the ringtone in the folder "Ringtones" your phone. Go to menu "Settings" of the smartphone, select "Sounds" and under "Ringtone". Look you have created your sound file and select it. Now the ringtone will be standing on your incoming calls. In most countries where it is officially sold iPhone, the AppStore contains a special section Ringtones, allowing you to choose and buy a ringtone in iTunes. In Russia this feature is not supported, so you have to look for other solutions to the problem. Make sure you understand the parameters of the musical excerpt used as ringtone for iPhone: audio file format AAC, not longer than 40 seconds, and choose your desired ringtone in your library. Download and install the tool to limit the size of the pieces mp3DirectCut. Create your ringtone the right size and start iTunes. Move a musical passage in a music library by dragging and dropping the file in the left part of the iTunes application window and open the context menu of the created object by right-clicking the mouse. Enter the command "Create a version for AAC format" and repeat the procedure call context menu for the created version. Click "Copy" and create a copy of the selected file in an arbitrary folder on your desktop. Tap the function keys Alt and enter the command "folder options" in the menu "Service" the top bar of the application window. Go to the View tab of the resulting window and uncheck the field "Hide extensions for known file types". Change the extension of the saved file to m4r and add it to your iTunes library. This action displays the created ringtone under "Ringtones" library. Connect your iPhone and enter the desired ringtones in the device window. Use a dedicated application iRinger to simplify and automate the process of creating your own melodies for a call. The app is free and distributed freely. Use the free online service Audiko.net performing the same features and offering a huge selection of ringtones for download. Use the ability to delete pre-installed ringtones and install your own ringtones without iTunes provided by the application i-FunBox. The app is free and does not require operation jailbreak. All of the above applications are designed to work with the Microsoft Windows operating system. Question about how to change the ringtone on the Apple iPhone is perhaps not the first, which occurs after purchase. The problem can be solved fairly quickly if you use programs such as iTunes and iRinger. Download special iTunes. 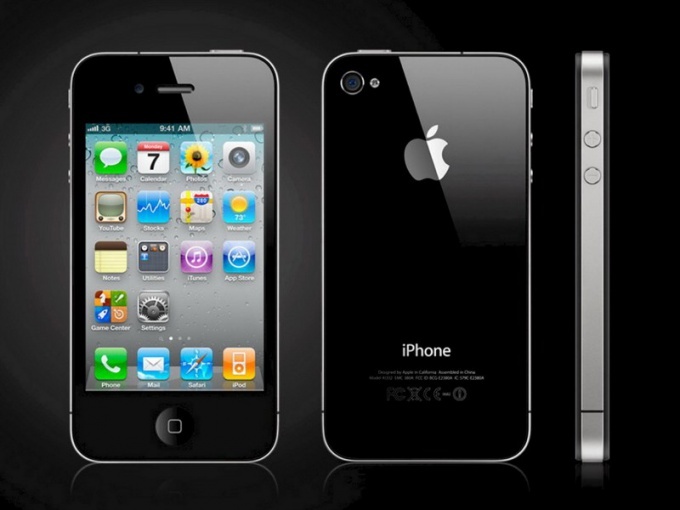 This can be done by visiting the official website of the manufacturer of the iPhone. Please note that using Skype is absolutely free (it is the use and not the downloading of content). Don't forget about the second program - iRinger, which is also free of charge. Run the installed program iRinger, then go to section called iPhone Ringtones. Add the tunes that you intend to use as a ringtone. To do this, click on the Import button (the one with a zip) and specify the path to the folder that contains the necessary files to Mp3, Wav and others. Click on the track and press "Open". Wait while the selected melody will be converted by the program into a format understood by the phone Apple iPhone. If you want to check the result, listen to the track by clicking on the Preview button. Now press Export (it is the image notes), and then Go!. In the folder with all of your default documents directory appear the iPhone Ringtones. You'll need it later to store other ringtones. Please note that you will be able to convert to only add one ringtone. Therefore, to maintain, for example, two tracks follow these steps the same number of times. Now launch iTunes, under Library, select "Ringtones". First find the folder that you created with the ringtones iPhone Ringtones and click the "Add folder to library". Now go to "Devices", click on your phone name right in front of tick labels to "Sync ringtones". Take the iPhone itself, go to menu "Settings", then "Sounds" and "call". You will see an updated list of ringtones that you can set as ringtone. The maximum playing time of a ringtone is 30 seconds. Sooner or later iPhone owners are faced with a ridiculous problem - lack of ability to put your favorite song on call. Still, this method was found. 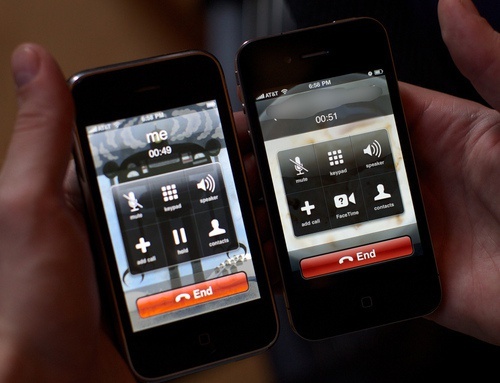 To iPhone to set your desired ringtone for the call, first you will need two useful programs - iTunes and iRinger. Download them from the Internet or purchase on disk. Install the iRinger program to your personal computer and run it. In the interface you will see marked with a lightning bolt on the Import button, click on it. The screen displays folder file Explorer, select it using the music file that you want to do in the moment ringtone for your iPhone. Click "Open". Wait while the program converts your chosen ringtone in m4r format. It takes a few seconds. Seeing that the operation completed successfully, click on the Preview button and adjust the piece of track that you want to see as a call on the iPhone. Next, click Export, and in the appeared window press the Go button. If necessary, for ease of reference, here enter the tune name selected as the call, and specify the path where it is saved. After clicking the Go button, the program will take a few seconds to create a ringtone for the call. That melody is created, you will prompt appeared on the screen, a notice in the window that says Success. All the ringtone you created, now we have to install it on a call. Start downloaded from the Internet for iTunes. Connect your iPhone to your personal computer. In the left program menu, go to "Ringtones". Specify the path to the desired music by selecting "Add file to library" in menu "File". The file with the melody appears in the list of ringtones the program. Go to the menu "Devices" and enable the synchronization, select "All ringtones". Now your favorite tune downloaded to the iPhone. To install it, go into audio settings and set up a simple tap of your finger on the name of the ringtone. 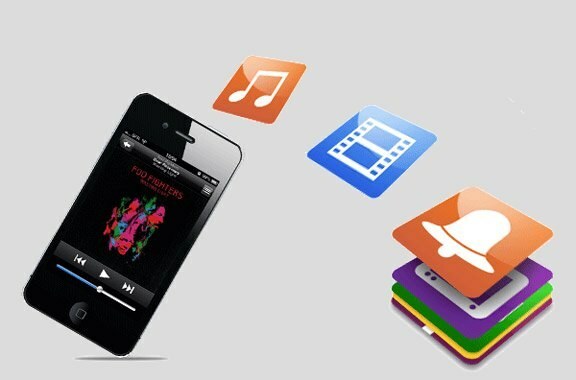 Setting ringtones on iPhone can be produced using the software to manage files on your phone iTunes. To do this, find the song you like, open it in the program, and then produce its crop to the desired size, and then upload to the device. Open iTunes on your computer. Then click on the tab "File" - "Add file to library". You can also transfer into the program window ringtone by dragging it from a folder on your computer in the appropriate section of the library with the left mouse button. After downloading the desired ringtone, select it in the application window to listen. Follow the playback time of the song to catch the right cut for installation on ringtone. This period cannot be longer than 38 seconds. Listen to the song and note the start and end of the desired area. Click on song right click to display the context menu. Select "Information", then click on the Settings tab. Here you can change the duration of the melody by setting the checkboxes next to "Start" and "stop Time". In the appropriate fields, specify the start and end time of the playback of the segment you would like to set as ringtone, and then click OK. Right click on newly created entry in the iTunes window, which will be your ringtone. In the appeared menu choose "Create a version in AAC format". Now you will have a copy of the tune. Navigate to the folder where you have kept the original version of the song. Next to it you will see the created ringtone, which will have the extension m4a. This is the file your ringtones the call. Right click on this file and select "Rename". Change the extension of the song from m4a to m4r, and press Enter. If you do not see the file extension, go to the tab "Tools" - "folder options" - "View" folder of Windows. Remove the tick from "Hide extensions" and then try to change the extension again. In iTunes, delete the shortened version of the song, and then delete the settings made in the "Information" section of the source tune. After that, move the changed m4r file into the program window. Connect your iPhone to computer and click on the device icon in the upper right corner of the program. Go to "Sounds" and hit Sync to add ringtones to your phone. After the procedure, you can go to device settings to change the ringtone. The procedure of changing the ringtone is complete. Most owners of iPhones ringtone is memorable standard melody. However, if you want to stand out from the crowd, as well as to identify individual callers, you can set a different ringtone for call iPhone. The format in which you can set the call ringtone for iPhone m4r. The duration of the melody should not be more than 40 seconds. Make a ringtone for your mobile phone software and applications. For example, in the program Garage Band. Install the program and open it. Select the menu item "iPhone Ringtone". In the dialog box will show "create", clicking on which will bring you into a fullscreen menu with templates ringtones. Open "edit" and remove the track. Drag the window the desired music file. Move the yellow stripes on the track, thus choosing the part of the song that will be played when calling. Select the desired ringtone effects: equalizer settings, remission, volume and others. Click "export" and send the ringtone to iTunes. To set a ringtone for the iPhone, in iTunes open the tab "sounds" and find the file that you uploaded. Connect your computer to the phone and select it in the devices list. Tick the "sync sounds" and apply settings. After syncing iPhone with iTunes, you can set your favorite ringtone for the iPhone. To do this, open phone "settings", navigate to the list of ringtones and click on the sound you want to close it there was a tick. 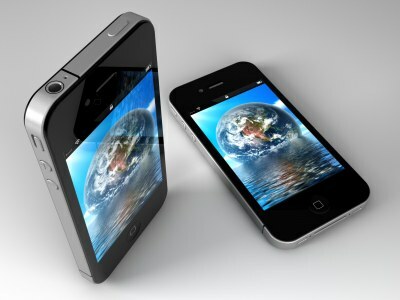 To set the ringtone on zvono the iPhone 4, iPhone 4s, iPhone 5 possible for each contact separately. To do this, go to contacts, select the person you want and change the settings, squandered the screen to the field "ringtone". If in iTunes there is no section "sounds" (in older versions – ringtones), open the settings app and under "General" check the box next to "sounds" and then save the changes. If you are tired of boring and monotonous ringtones on the phone call, you will be able to choose your favorite song and put the tune on the iPhone. To put ringtone to iPhone, download and install the computer program iRinger and iTunes. First you need to make your ringtone (to translate the song in the correct m4r format and reduced to 30 seconds), and the second – for connection of phone to computer. Start iRinger and click "import". 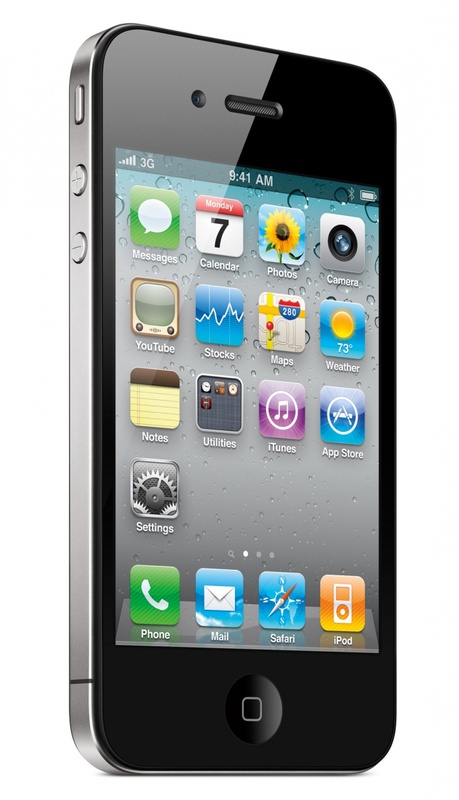 Select the desired music file which you want to make ringtone for your iPhone and open it. Make sure that the program converted the song to m4r. After the operation completes, hit "preview" and select the part of song you want to set your ringer on the iPhone. Click "export" and "go", rename the ringtone and save it. Following these simple manipulations in a few the program will create and save a ringtone that you would like to put as ringtones for iPhone. To know that the transaction is completed, it is possible to find the inscription "success" in the program window. To install the created ringtones to iPhone run iTunes, connect your device to the computer via cable or wirelessly. Go to the "sounds" program and add the file to library. Start the synchronization of the iPhone and the computer, choose "all ringtones". Now you can put a melody to Athos by going to settings and selecting the desired song.